There are literally thousands of edible mushrooms grown all over the world. Some are cultivated very easily, while others, like the truffle, are prized because they are so difficult to find. Mushrooms are one of the most diverse foods in the world and are loved as well as prized by many cultures. The Chinese, Japanese and Italians have made mushrooms to be the cornerstone of many of their cultural dishes. The mushroom is relatively inexpensive, easy to find and takes on flavors like no other food outside of tofu. This alone makes the mushroom a brilliant addition to any recipe. Some mushrooms, like the portabella, are large enough to be a meal all on their own. Essentially there are two types of edible of mushrooms: those that are wildly grown and those that are commercially cultivated. Not every type of mushroom is easy to grow commercially--some are better to harvest in the wild. Commercially grown mushrooms are easily grown in a commercial setting for harvesting. You will recognize many of these mushrooms from the grocery stores you frequent. You can often find these fresh but many are available dried as well. The most popular type of commercially grown mushroom today is the Agaricus bisporus species. You will find them in the market listed as champignon or button mushrooms. 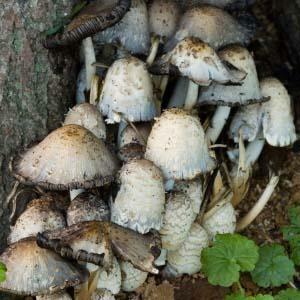 This is a larger group of mushroom species which also includes the much loved crimini and portobello mushrooms. These mushrooms have long been used in cream of mushroom soup as well as mushroom bisque. Asian cuisine, be it Japanese or Chinese, uses a lot of mushrooms in their recipes. The Asian people have made it an art form to grow and harvest a great variety of mushrooms including the tree ear fungi (auricularia polytricha or auricularia auricula-judae) which are used in Chinese cooking. Japan cultivates several kinds of edible mushrooms for use in their cooking as well, including enokitake (the winter mushroom), shimeji (beech mushroom in Europe), shiitake and oak mushrooms. These make up 10% of the word's production of mushrooms. Oyster and king trumpet mushrooms are the most widely cultivated mushroom in the world as they make up 25% of the word's mushroom crop. For whatever reason these mushrooms are not able to be grown well commercially, but do grow in the wild and can be harvested in the wild for public resale. These mushrooms should always be bought from a mushroom farm, you should never try to harvest wild mushrooms on your own. Porcini mushrooms are used widely throughout Italy and have become a staple in their cuisine. These are also known as the pig mushroom and are also found in Germany (steinpilz or stone mushroom), Russia (white mushroom) and in France (cep mushroom). The yellow chanterelle, as well as the yellow-leg chanterelle, is probably one of the most recognizable mushrooms in the world. There is a mushroom that resembles the chanterelle which is poisonous so the best bet is to buy these in the store unless you know what to look for. Maitake is a mushroom that is found in Japan and is known by two colorful names: "hen of the woods" and "sheep's head". Maitake are a meaty and large mushroom that grow near oak trees and are highly prized for their medicinal properties. Another prized wild mushroom in Japan is the matsutake mushroom. The most famous of wild mushrooms as well as the most expensive are the Tuber species of mushrooms. This species is more widely known as the truffle and is highly sought after by chefs everywhere. Try as they may, mushroom growers have failed to recreate the process needed to properly grow the truffle. The truffles that are most coveted include the Chinese black truffle, the black summer truffle and the white truffle. You should never harvest your own wild mushrooms but instead opt for buying wild varieties (like truffles). There are several species of mushrooms that are toxic and warnings to avoid these should be taken very seriously. Some such mushrooms include the Amanita muscaria (which needs to be par-boiled prior to eating) and the Coprinopsis atramentaria (can't be consumed with alcohol).